Let's take a break from nails and look at some beauty reviews! I'm keeping it short and sweet just like last time and this time around I have a fun variety of beauty and skin care products to look at. I'm keeping it short, so take a look at these 6 mini reviews below and let me know what you think! (Full size $23 CDN // Sephora) Every couple years I bounce back and forth between gel liners and liquid liners, and this is one of two liquid liners I currently have in rotation in my makeup kit. This one is the perfect size to live in my gym bag so that's where I keep it. 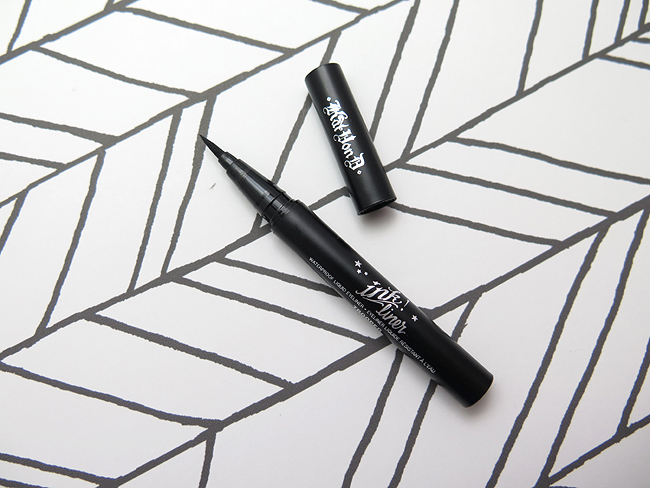 It's a basic black liquid liner, and while I was excited to try it I was a bit disappointed at the colour payoff - I found it was a bit watery and didn't leave as solid a line as my regular Julep liner, though the length and width of the brush makes it really easy to apply. Like it, don't love it. (5 oz $25 CDN // Sephora) This is another product I liked but didn't love. 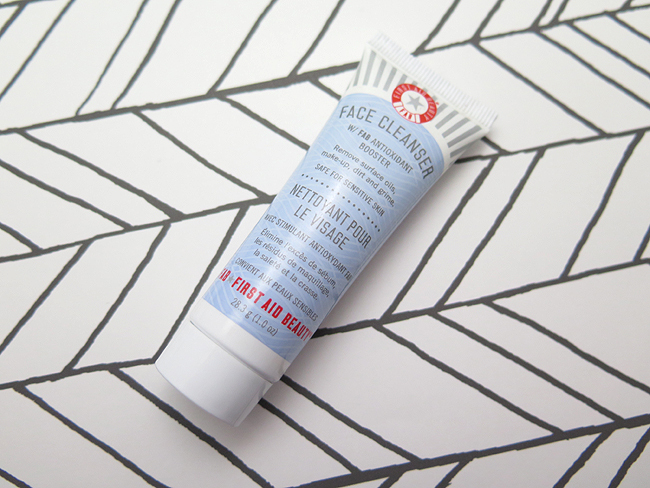 It worked really well and left my face feeling really clean (and got rid of ALL my makeup including mascara!) but it had a slight soapy scent that I didn't love and it made my eyes really itchy when I accidentally got some suds in. Works well, but I'll stick with my regular cleanser I think. (Full size $23 // Sephora) I expected to love this but I have to say I was really disappointed. The colour was subtle on me and I'm not quite sure which shade it is... Maybe N9 Copper Pink? Either way the formula was a bit too creamy for me, and I could feel it on my lips for a couple hours after I applied it. 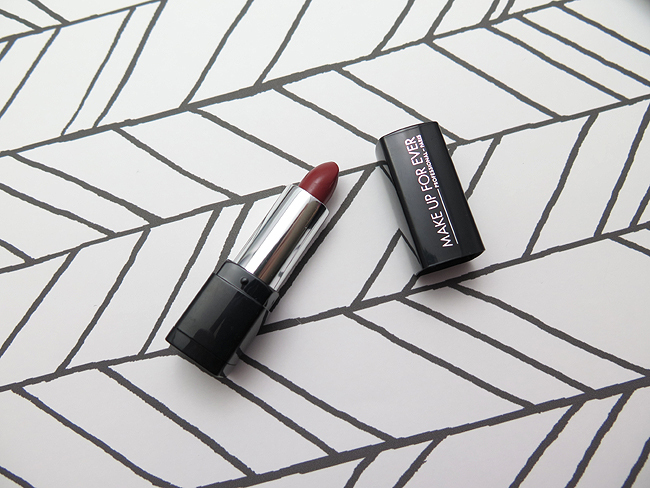 It also had a bit too much sheen for me -- I prefer my lipsticks to be matte. The colour was really pigmented and lasting though and I had no issues with feathering as the day went on. Overall a pass for me but I'm sure there are others who like it. 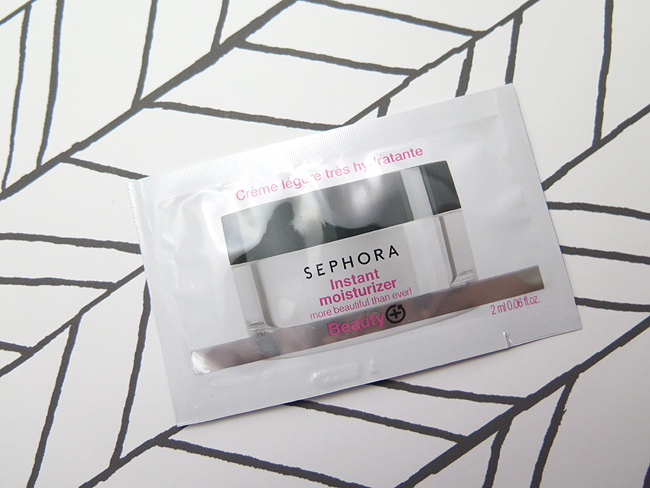 (Full size 4.2 oz $14 CDN // Sephora) The last mini review I have to share with you is for my favourite product from the bunch. I have been SO HAPPY with this eye makeup remover, you have no idea. I will definitely be getting it in full size once I've used it up. I just put a small dot on a cotton pad and it's enough to fully remove all my eye makeup from both my eyes, mascara and waterproof liquid liner included. And it doesn't leave my skin feeling either oily or dry. 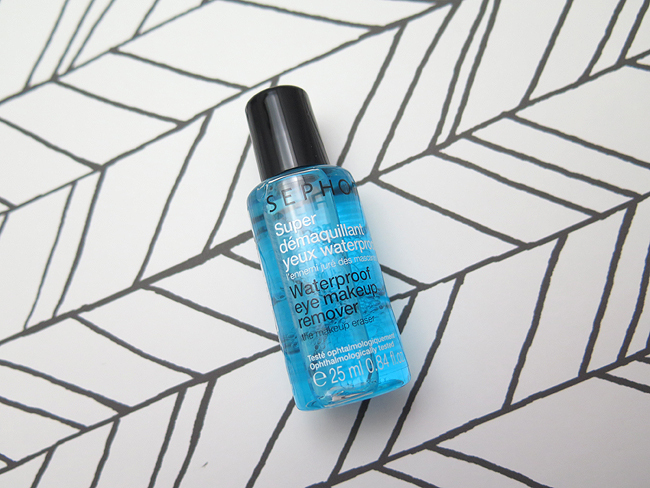 If you're looking for a new eye makeup remover definitely give this one a try! So in general I found a few products I plan to re-purchase once the samples are done, which is awesome. :) Let me know what you think of these six products and if you've given any a try! Sounds like a few of these were pretty wishy-washy- but I agree that Bliss products smell amazing!! Nice little reviews on these small items.